My research into alcohol-free beers continues! This is quite lovely to drink, it’s got a bit of citric sourness and a bit of bitterness but very little of that metallic tang that I dislike. I sense that I shall come back to this one again and again, availability permitting. 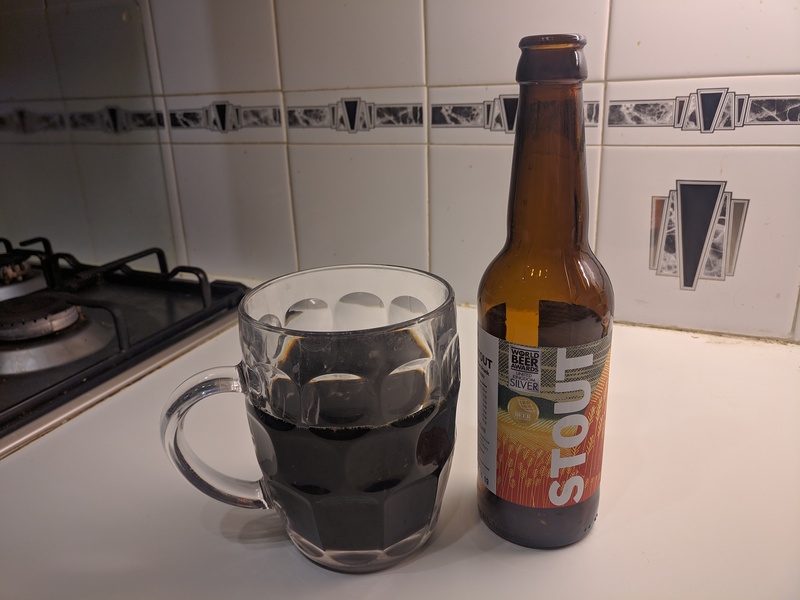 This beer would be a fantastic stout – and I don’t mean “fantastic for an alcohol-free stout”, but just a plain old unqualified fantastic stout – were it not for one fairly serious shortcoming. It tastes, and smells, rather a lot like stale cigarette smoke. This is a fairly disconcerting quality, as it’s a flavour that I associate with things that need to go into the laundry, not things that I should be inserting into my mouth. That said, given that stouts and porters are traditionally my “thing”, and the competition in the alcohol-free stakes is St Peters (and we all know how badly that turned out), it may be that the stale cigarette quality is one that it might be worth learning to live with. Wheat beers aren’t usually my scene, so purchasing this in the supermarket was a bit of a random move. However, I’d heard really good things about it, and given that there isn’t really much in the way of choice available for those seeking an alcohol-free beer, I figured it was worth giving it a try. The alternative would be to start dipping into alcohol-free lagers, and I don’t think that I’m quite that desperate yet. 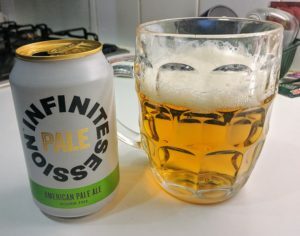 First impression was that it comes in pints, whereas most alcohol-free beers come in 330ml bottles or cans. Second impression was that it’s a bloody lively one. The phrase “do you want a flake with that” springs to mind. Upon putting glass to lip, I was very impressed. 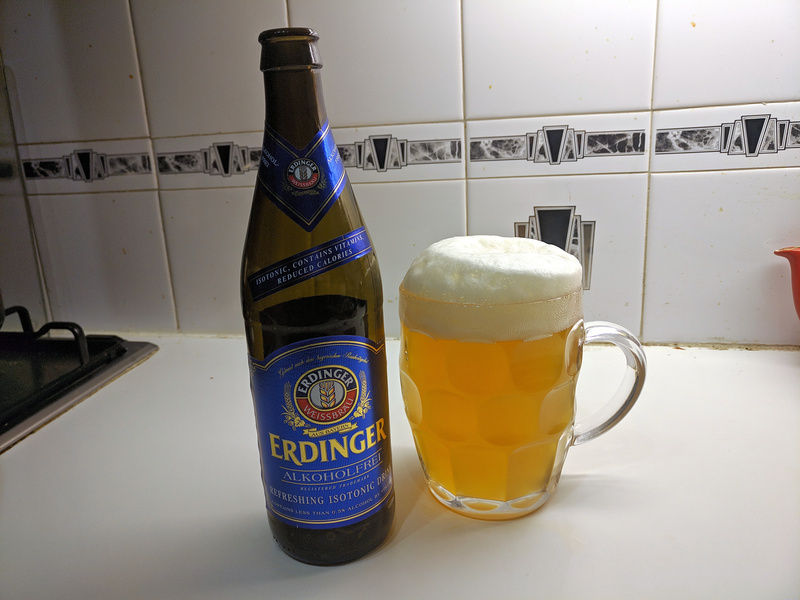 It tastes like a wheat beer, which is both a negative (because I’m not a fan of wheat beers) but a positive (because it doesn’t taste at all inferior to the full-alcohol variant). And it’s got a nice weighty velvetiness, none of that thinness that seems to be unavoidable in most alcohol free beers to some degree. From a neutral standpoint, if you like wheat beers, or have a broad taste in beers, then this is a damn fine alcohol-free offering. However, for me, it’s just not a flavour that I particularly enjoy. More alcohol-free beers to come, we hope! And you can now stream the podcast (and many others) from SoundCloud using the link up there. My brother (whom some of you know as the esteemed Dr Pockless) drew and drew and drew, when we were kids. He drew dogs and trees a lot, because we had books on how to draw dogs and trees. Then he drew cartoon characters including one called Sir Herbert Mole and a superhero with a cape. Then he drew heavy metal album cover art. Then he drew on napkins whenever we went out for a meal. Then he learned animation and got a job being a cartoonist, which is what he always said he wanted to be when he grew up. I did not draw. I cannot draw. I do not draw. 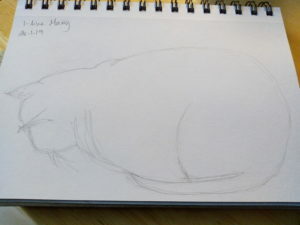 For 48 years, I have not drawn. Late last year we were in Grasmere for a funeral, and Dr P succumbed to his usual urge to buy art materials in the Heaton Cooper studio. Verily, it is irresistable, even I usually come out of there with a postcard at the very least. On this occasion, and with his advice, I purchased a 2B pencil and a sketchbook, announcing that I was going to learn to draw. He was very encouraging. 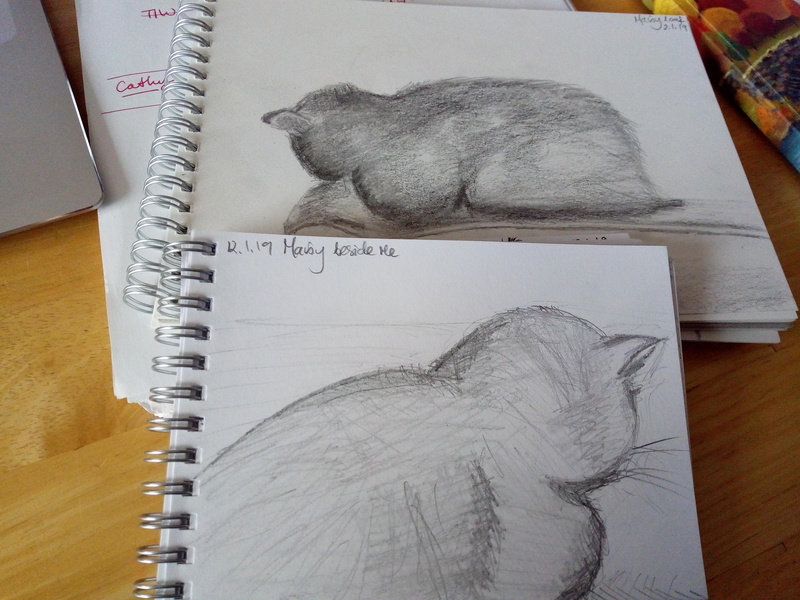 He told me to draw every day, so that was my NY resolution for 2019, and I have kept it. Over the last decade, I have learned that I can learn to do things. Before that I just bumbled along not being very good at anything, but what I have found is that if I actually do make the effort, and do something a lot (like knitting), I can get reasonably good at it. I will never be amazingly talented at any of these things, but I started with no skill and then did it a lot until I got some skill, and now it is a pleasing thing to do. It is the 8th February and I am not very good yet, but I’m okay with that. I think this might take years, but it is enjoyable, so that’s ok. 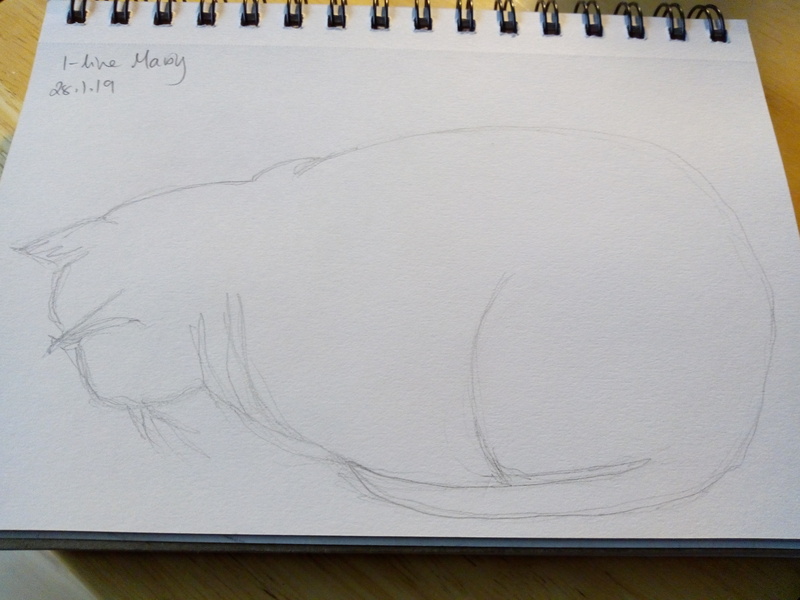 I draw my cat a lot, but frustratingly she rarely adopts any position other than loaf; however she is good for that thing where you draw in a continuous line without stopping. 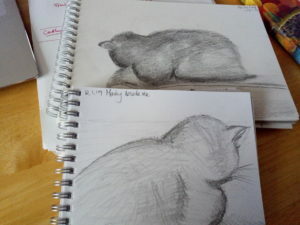 I am struggling to resist spending lots of money on art materials, when I haven’t mastered the pencil yet. I carry a sketchbook with me everywhere, but I’m too shy to get it out in public. 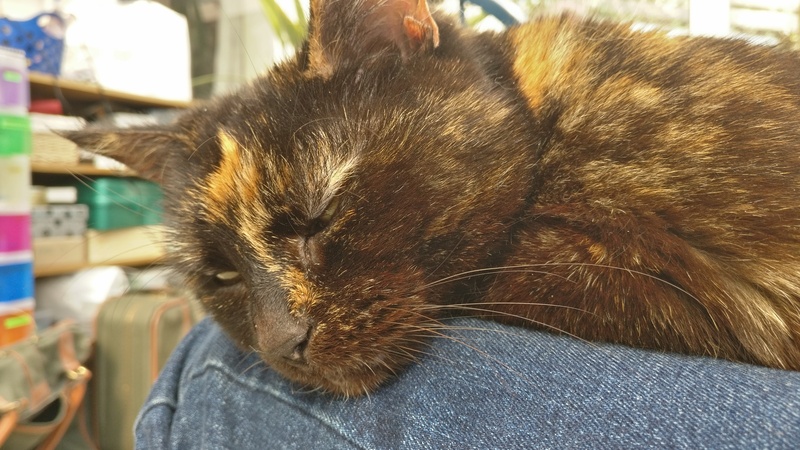 Here is the cat, being a loaf. It’s what she does best. I like drawing whiskers and shading, so this works out nicely for both of us. We are both getting old; I seem to be the only one of us willing to learn new tricks. Any chance that a poor retiree can get a shot of Smirnoff Black Label around here? - Mr.D. My dad and I had been walking for a long time. I’d long since lost track of how long, and I had no idea where we were, but I knew that my dad was my hero and was keeping me safe. He had told me that something was wrong, but he wouldn’t tell me what it was. He told me that I didn’t need to know, that I wouldn’t understand even if he tried to explain it to me, and when he smiled at me it reassured me, and I trusted him. I knew that he wasn’t lying to me, because I could feel it too – something supernatural in the air around us, like a distant sound that you couldn’t quite hear. It had been there for so long that sometimes I would forget that it was there, and sometimes for a second I would think that a quality about it had changed, but it was all too fuzzy, and if you thought about it too hard, it slipped away. Like how you can see a star in your peripheral vision, but when you try to look right at it, it disappears. It was late in the afternoon. We were walking along a grassy path cut through the middle of some woods, just him and me and the wind rustling the leaves. Up ahead I could see a shack of some sort, long since fallen into disrepair. 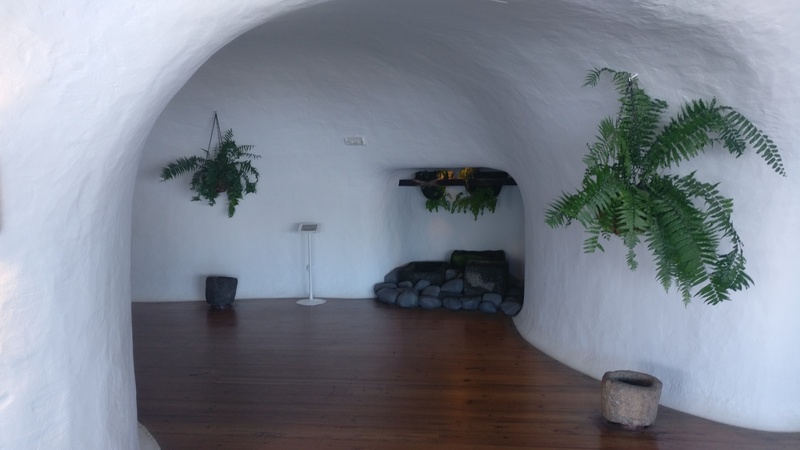 I wondered if a witch lived there. My dad raised a finger and turned to me, and we both stopped dead still, holding our breath. For a second, he had that far-away look in his eye, and I knew what he was doing. He was listening, or sensing, I don’t know how to describe it. He was smarter than me, he knew more about what was wrong. He knew exactly what to listen out for, how to examine that strange feeling in detail. He’d been doing this for as long as I could remember – every few minutes he’d stop, and I’d stop too, and he would check to see if something had changed, some sign that this flaw in me, or him, or the world, might be getting better. And then his focus would return to me, and he’d smile, that same big reassuring smile that he smiled every time. The one that told me that things hadn’t changed; but that we’d keep on walking, and we’d keep on hoping, and we’d keep on surviving. Owing to issues with my digestive system, about 6 months ago I cut out all caffeine, and almost all alcohol. This has made me a little sad, and has resulted in me spending a lot less money on coffee, beer and whiskey, and a lot more on artisan shaving soaps, bass guitars, and other items related to these pursuits. Here are some of the alcohol-free beers that I’ve been trying over the last few months. Note that none of them are actually entirely free of alcohol – they’re all 0.5%. 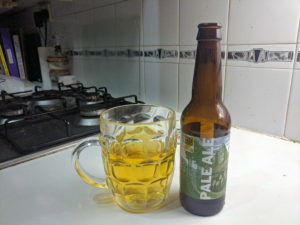 According to Adnams’ website, with such quotes as “all the same flavours and aromas as Ghost Ship 4.5%” and “no compromise on taste”, I should have been unable to tell the difference between this beer and its intoxicating brethren. Sadly, I definitely could. It was lacking in fullness, and the flavours felt unbalanced and metallic. However, some other reviewers have claimed that they found it to be so close to the 4.5% version that they weren’t sure which one was in the glass, so I’m wondering if maybe my tongue was being weird that day. Maybe I should give it another chance. Or maybe, after having spent a few months drinking very little beer, my palate has reset to that of an 11 year old. Time for a quick lesson in brewing here – when making ale, you mix your hop extract with some malted barley and then boil it to kill off germs, and this mixture is known as “wort”. You then use yeast to ferment this, which converts the sugar in the malted barley into alcohol. Bosh, beer. As you can imagine, wort tastes and smells a bit like beer, but very sweet, and without any alcohol. Not something you’d drink for the sheer pleasure of it. The reason why I tell you this is that St Peter’s “Without” Original is indistinguishable from wort. 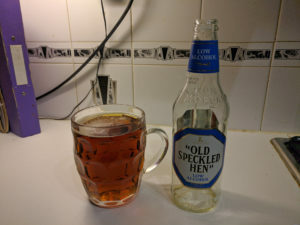 After disappointing experiences with the Adnams and St Peters beers, I was starting to doubt that a decent alcohol-free beer could exist. Yes, I know, 2 data points is a bit premature. 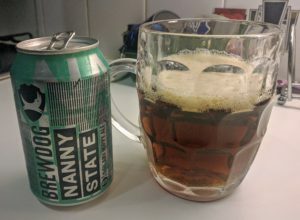 Nanny State was recommended to me, and it recharged my optimism nicely. It still has a little bit of that metallic tang that I found in the Ghost Ship, but on the whole it’s very drinkable and has become my “staple”. It’s also probably the one with the least calories, at fewer than 10 calories per 100ml (in my research, most alcohol free beers tend to have 20-30, and alcoholic beers 30-50). While browsing in the supermarket, I saw this on the shelf next to the Nanny State. 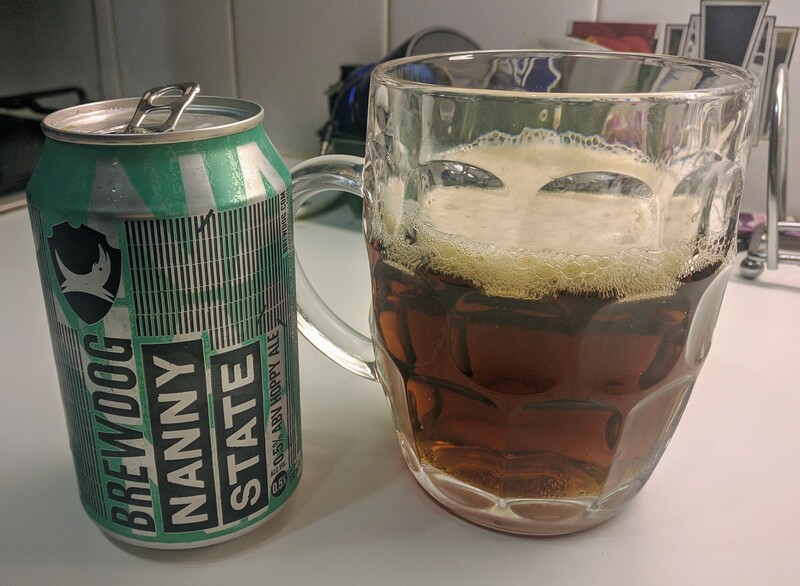 Similar to the Nanny State, it comes in a 4 pack of 330ml cans, tastes pretty damn good, and also has about 10 calories per 100ml. If you like one, you’ll almost certainly like the other. This stuff has only been on the market for a couple of months. 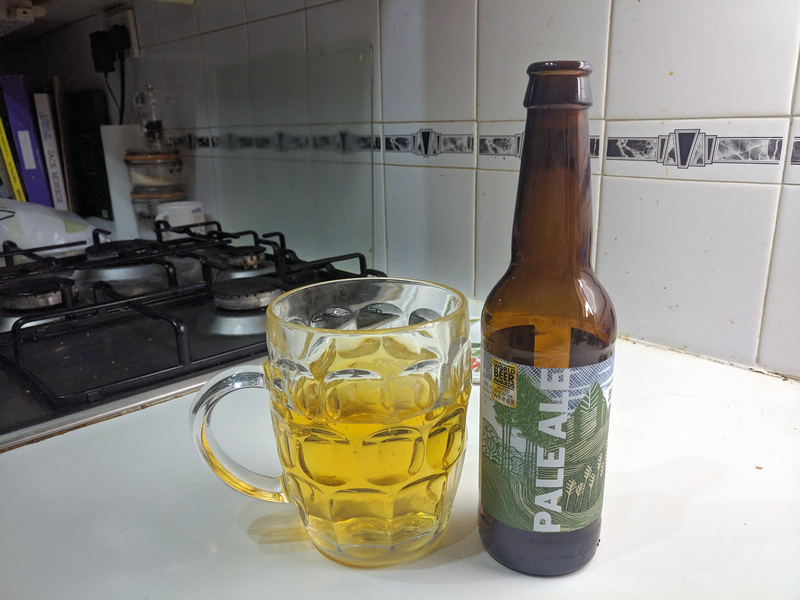 Again, it has a slightly metallic taste compared to the regular OSH, but on the whole it’s perfectly drinkable, and stands as a nice complement to the options above for when you want something a bit less hoppy. Incidentally, this metallic taste that I’ve referred to repeatedly is not a thing that gets “added” as the result of some process, but rather a consequence of something that is normally masked becoming exposed. I wonder if the next evolution in low-alcohol beer brewing is to find some new ingredient that has a pleasant flavour in itself, but will also cover up that metallic aspect. Or maybe it’s just something that I need to get used to. More low-alcohol beer reviews to follow soon! The other day we (Bernard, Pete and Karen) were listening to a gaming podcast called “The Greatest Story Ever Played” and they just so happened to of done a podcast on the game we just played yesterday, what a coincidence, and we were thinking, how about our own podcast? We have now uploaded our first episode on What Remains Of Edith Finch and we are here to share it with the rest of Uborka as our, possibly wonderful, creation. The podcast may be found on SoundCloud and is around half an hour. Pete made the wonderful theme tune based on the song “Good Times” by “Chic”. 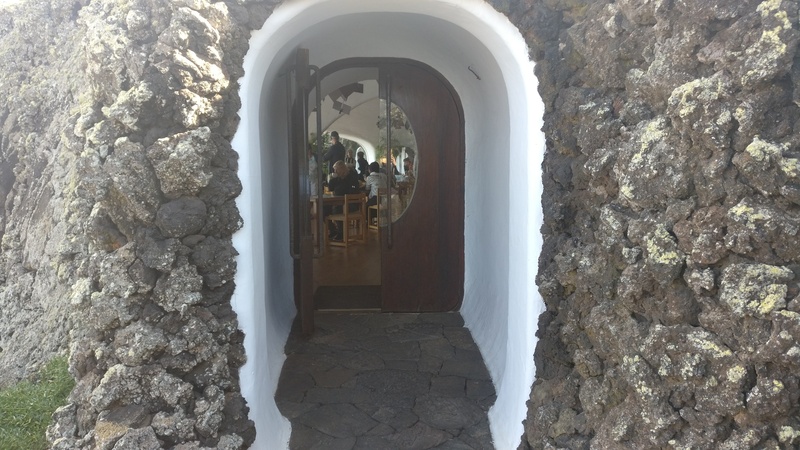 You know when you’re playing Minecraft and you build a base inside the top of a mountain, with an amazing view out over oceans and islands as far as forever? 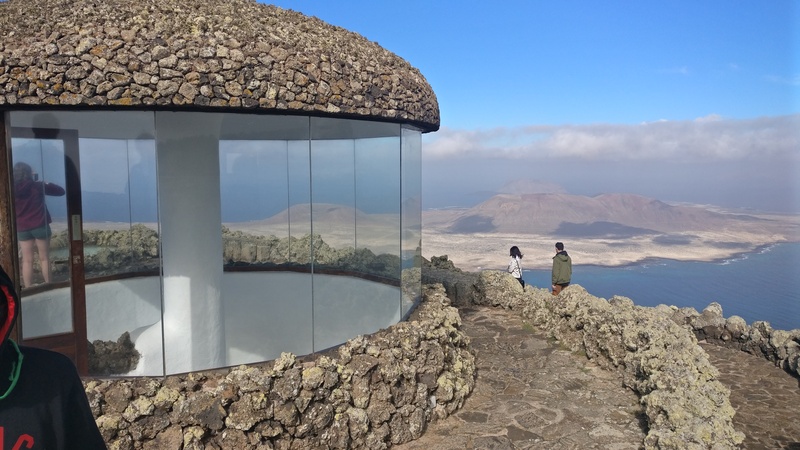 If you’ve ever wondered what that might look like in real life, look no further than Mirador Del Rio.